This self-park car park is located within the airport complex, offering rapid transfers to and from the terminal. 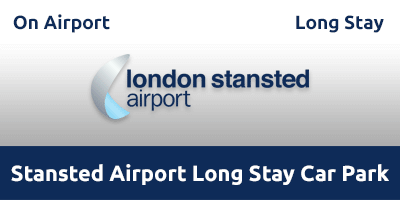 Stansted Airport Long Stay Car Park is an ideal choice for business and leisure travellers looking for quick and easy airport parking. Transfer buses operate 24 hours a day, running every 15 minutes. The journey to the terminal takes approximately ten minutes. This car park operates 24-hour CCTV, has security fencing and regular security patrols. The car park has also been awarded the police approved Park Mark Safer Parking Award; so you can be assured that your car is safe in this compound. 100 bays are reserved for Blue Badge holders. This car park is open 24 hours a day, 365 days a year. Approach the entry barrier and wait for the automatic system to recognise your number plate. Once your number plate has been recognised the barrier will raise. Park your car in marked space. Please ensure you allow sufficient time park your vehicle and complete the airport transfer. Collect your luggage and clear customs and then head to the bus stops. Take the bus back to the car park. Please ensure the bus is heading to the correct car park zone. Collect your car and then head to the exit barrier. The barrier will open and you may proceed out of the car park.